If you run a small- or medium-sized business, you know how important it is to stay competitive. However, sometimes the thought of taking your products to the Online world can seem daunting. Luckily, the folks at Sharpe Concepts–the makers of LilyPad products–have come up with a solution to get you Online without having to pay the costs of a custom website, and without all of the fuss. 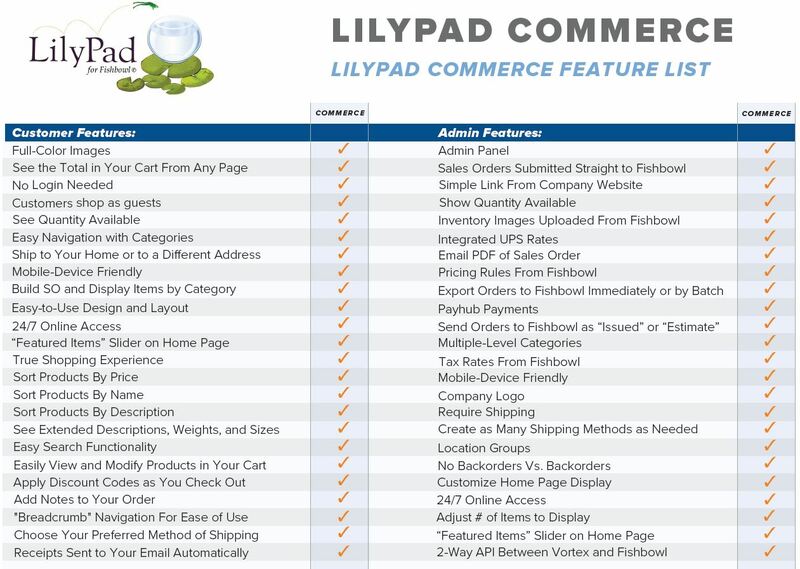 LilyPad Commerce connects directly to your Fishbowl Inventory server and pulls all of your products, categories, prices, images, etc. into an eCommerce platform that will get you selling online within minutes, instead of months. So, not only do you get a fully-functional eCommerce site quickly and easily, it’s also a fraction of the cost of a custom website. As soon as an order is placed in LilyPad Commerce, the information is sent directly to your Fishbowl database and is ready for you to begin processing. Of course, credit card payments will also be processed and will hit your account within moments, giving you the freedom to worry about other things, such as growing your business. Don’t forget that LilyPad Commerce scales to fit the smallest, or largest, of screens. 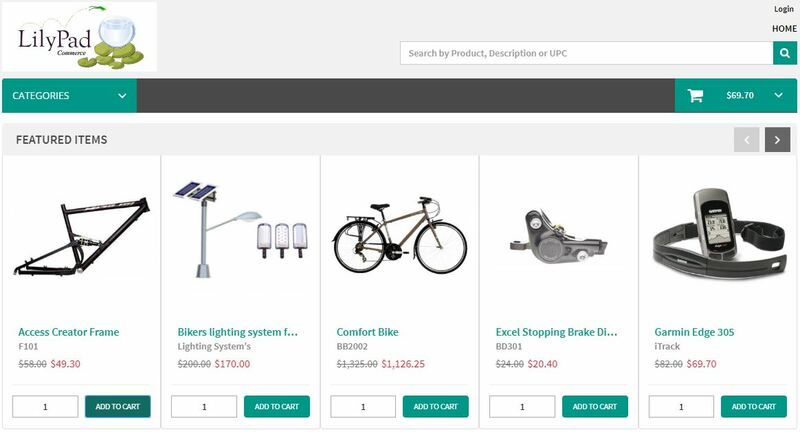 Quick and easy navigation will allow your customers to create and place orders within minutes…and best of all, LilyPad Commerce never sleeps. As always, feel free to contact us with your questions and to learn more about our other LilyPad products. Multiple Currencies? How About Multiple Languages!